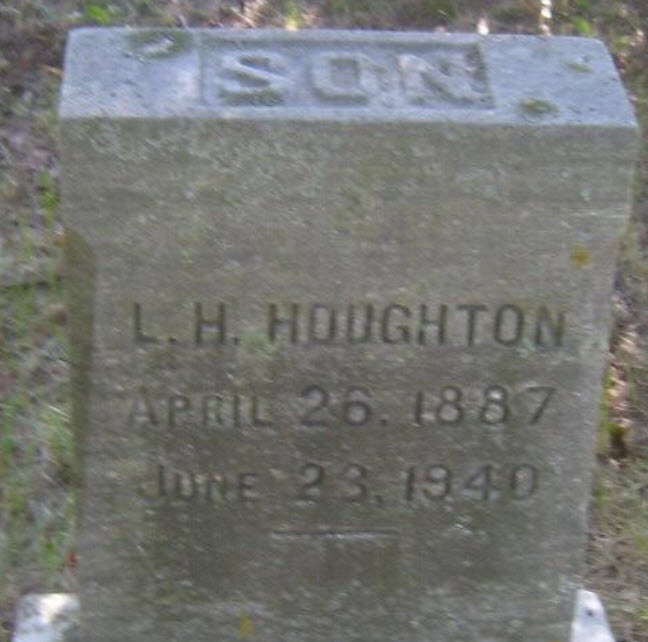 L. H. Houghton married Ellen Gertrude (?) in circa 1916 age 29 and 26. Bessie P. Houghton married David L. Kelley in Dec 12, 1922. Leonard Olan Houghton married Beatrice B. (?) in circa 1925 age 24 and 23. Nellie Maud Houghton married J. L'Verne Russell in Jun 9, 1893. J. L'Verne Russell married Nellie Maud Houghton, daughter of Franklin Earle Houghton and Nancy Young, in Jun 9, 1893. Rollin Howard Houghton married Gertrude C. Arnold in Jan 26, 1903 age 20 and 19. Clarissa B. Houghton married Frank W. Meach in Jan 8, 1908. Mildred E. Houghton married (?) Quick. Gertrude C. Arnold married Rollin Howard Houghton, son of Allen Dan Houghton and Minerva H. Howden, in Jan 26, 1903 age 20 and 19. Nellie M. Houghton married Dean S Fagan. Frank W. Meach married Clarissa B. Houghton, daughter of Allen Dan Houghton and Minerva H. Howden, in Jan 8, 1908. Birth Newton, MA, USA, "first children...were Henry and Anna." Charlotte Rhoda Jackson married Luther Cullender Reynolds in 1828 Virkus: 1829. Luther Cullender Reynolds married Charlotte Rhoda Jackson, daughter of Samuel Jackson and Comfort Houghton, in 1828 Virkus: 1829. Dr. Austin Reynolds married Abigail Eustice. Belista Reynolds married Samuel Wesly Butterfield in 1859.